Dive into the secrets of the subconscious! 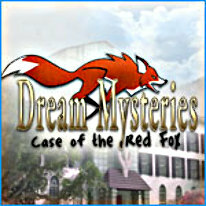 Dive into the secrets of the subconscious with Dream Mysteries - Case of the Red Fox, and heal patients inexplicably trapped in their traumas. Dr. Corey Foster is a skilled psychiatrist with the unique ability to enter others' dream states and change them. Because of her extraordinary talent, she's been invited to oversee a surge of psychiatric illnesses at the Dream Seekers research clinic. A normal sunny day finds her tending to patient's therapy when it turns baffling, as similar haunting visions inhabit all of her subjects. What exactly is going on and why is Dr. Foster now having those similar visions as well?